I have written many blogs in my lifetime, yet this blog may be the most emotional and personal to my heart. It has involved enormous strength, emotion, and patience. It seems that I have always been the one that has told many people to be strong, to look past weakness, and learn to move on. Although I was aware of this advice, I was not prepared for what the universe delivered to me in the last eclipse in Leo (read about it here). On February 12, 2017, as I boarded a plane, my own words echoed in my head and rang true in my ears. “Leo represents the family structure and something has to give as the Leo eclipse will affect all fire signs, including those that have fire sign in their chart (read about it here).” I also stated that “the eclipse could impact people as early as 10-12 days before and continue 10 to 12 days after.” Perhaps it was my premonition, or those dreams that kept me up late at night, of my father all in white waving at me. His eyes were the color of snow and his hair was a perfect gray, just gliding in the wind with a great big smile from a distance. I was the last to hold him, last to look in his eyes, last to tell him to wait, and last to tell him I loved him. Why it was happening to me my psyche was empty, I knew that I was not immune to the pain. I also knew that the time was drawing near. I knew the planets were aligned just right and if it were to happen, it would happen. Maybe it was Saturn in Sagittarius as he had 3 rounds of this in his lifetime. Yet Saturn was knocking at my Mars/ Venus. Or perhaps Saturn leaving Scorpio on the 26th and he became ill on the 27th of January. I could sit all day and theorize why, and what caused it. But at the end of the day all things must die and be reborn again. Now, it is too late to wonder. Because he is gone; leaving behind his wife (my mother), two daughters (my sister and I), three grandchildren, and one great granddaughter. In his bio it was written that he said a “soul is something weapons cannot cleave, fire cannot burn, water cannot wet, and winds cannot dry”-STJ. In honor of my father I waited until February 24, 2017 to begin my writing with the hopes that Shiva would grant me the strength to make this blog inspirational to those who have lost a family member. Additionally, to show the strength of the cosmos and the underlining transformation through the power of the eclipse and the impact on humanity; but most of all, why sometimes in life things just have to be let go to give them rebirth. February 24, 2017 represents a very auspicious day for all Hindus; it is the Mahashivaratri Festival which is translated as Night of Shiva. This is the day Shiva married his bride Parvati, but there are many other legends which represent its importance. My atonement is to my father as it is believed that the worship of Shiva forgives people of past sins, thus attaining moksha and salvation, and they can do it for themselves or others. Therefore, every word that I write will be a dedication to my father who fought for his life 12 days before the eclipse and 7 days after. Shiva is also a representation of Pisces; as old philosophies of Hindu culture and Vedic scriptures have stated that 99% of the population has Pisces in their chart somewhere. I have begun to investigate the 1% that does not have Pisces in their chart, and why, but will leave that for completion at another time. February 26, 2017, is the 2nd eclipse of 2017, yet the first Annular Solar Eclipse and the last eclipse in Pisces until 2035 with the New moon in Pisces. With this much water, the cosmos is surely giving humanity spiritual divinity. I had written in depth about this beautiful steller event in my prediction of 2017 (here). There are many types of eclipses and the names are given by the rays that are visible through human eyes. 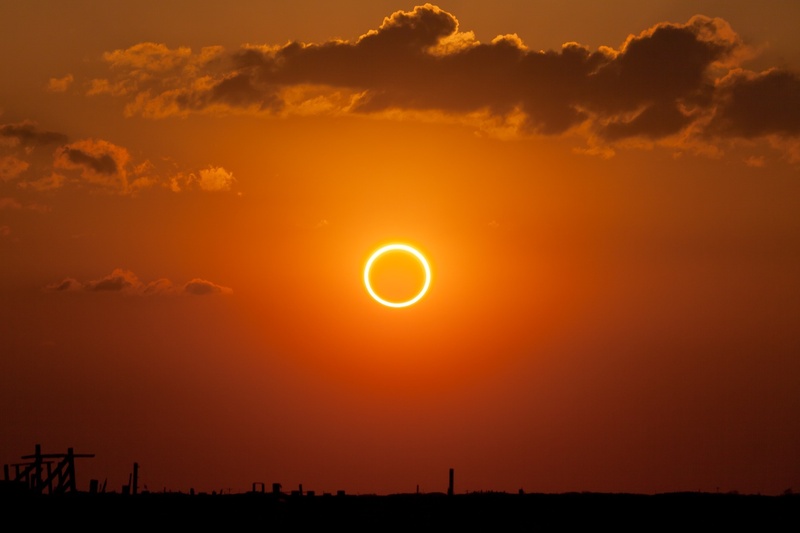 The Latin translation of “annulus” is Annular, which is almost as if there is a ring of fire around the sun during the shortest eclipse. Due to the uniqueness it will appear differently in several regions. This will not be an eclipse that North America will be able to enjoy; rather it will partially be seen in many areas of South America, Africa, the Indian Ocean, and Antarctica. The Solar Eclipse begins its motion on February 26, 2017 at 7:10am EST, 4:10am PST. As the eclipse moves into full eclipse at 8:15am EST and 5:15am PST, the moon will gradually begin to wane to new moon at a slow speed. The maximum eclipse will occur at 9:58am EST and 6:58PST and one minute later the new moon will join the symphony to make a beautiful ring. The eclipse will then dance across South America and Africa until its finishes its motion at 12:35pm EST and 9:35pm PST. 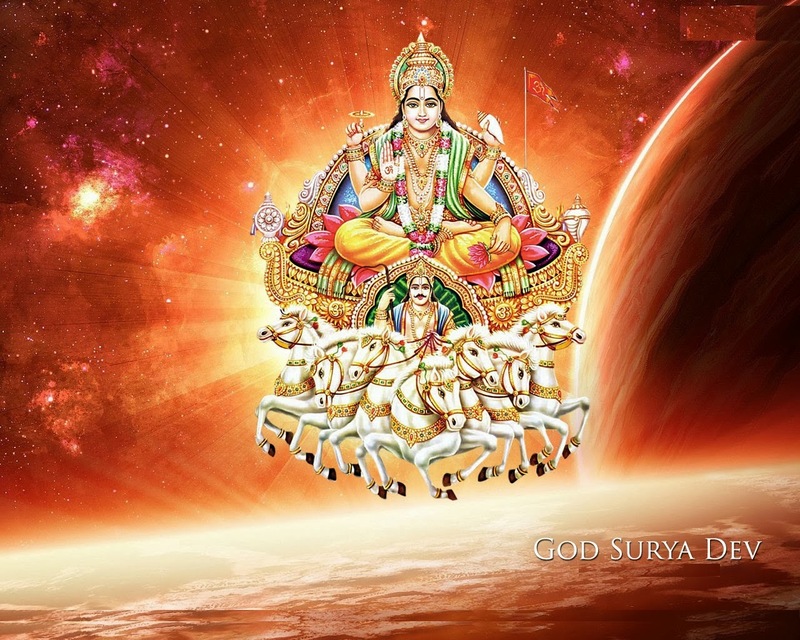 Solar Eclipse is known as Surya (Sun) Grahan (eclipse or stolen). This is when the moon blocks the sun and usually it takes place on a new moon, making the earth dark. 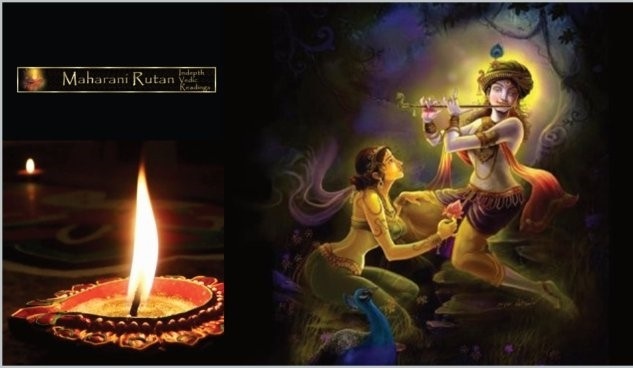 But behind every scientific theory there is always an ancient element; in the Vedic scripture (the short version) Rahu and Ketu cursed the moon and the sun that whenever the sun and the moon came close to each other there would always be negative energy to humanity. Therefore, mantras are chanted and precautions are taken. This eclipse is going to generate Pisces, Gemini, Sagittarius, and Virgo. Please remember that even if you are not a mutable sign it affects the house where these astrological signs are placed. For those who have had a VPA chart done, take a look to see where you are blessed. Looking through many ancient scriptures, theories, and analysis, I often feel that 80% of what is written seems very negative and often shocking. I feel as though we make our own destiny and it is not what is happening in the planets; it is our attitudes to the planets that makes all the difference in the world. However, one thing is for sure, we must learn from our past and apply it in the present so we can change our future. I am the number one fan of history and the parallels it carries into the present. We have had a similar eclipse in Pisces on February 26, 1998, when the Solar Eclipse was at 7 degrees in Pisces; yet in 2017 the eclipse is at 8 degrees on the same day and two hours later. February 1998, was romantic indeed, Titanic was the #1 movie and also had #1 song by Celine Dion “My Heart Will Go On”. President Clinton was in the spotlight with his affair, Oprah Winfrey won her trial, and the U.S unemployment 4.6%. Fast forward to when the new moon was in Pisces at 9 degrees without an eclipse. Opposite from 1998, the top song was Beyonce’s “Check On it” and Madea’s Family Reunion was the #1 movie with President Bush in the White House. Fast forward one more time when new moon was at 6 degrees without the eclipse February 25, 2009. The #1 Movie was Madea Goes to Jail and the #1 Song was “Right Round” by Flo Rida. Somehow, as we are transforming our nation the softer society is becoming much sterner becoming much more utopian. Once again, this eclipse is triggering changes. Keep saying farewell to foundations of life to generate space for use in signifying the next level of some larger work in the world. Remember that a Solar Eclipse is a New Moon, carrying the potential of new things to come, new things to be rewarded, and new ingenuity to embrace. The importance of a Solar Eclipse is that the effects last for years rather than weeks. Mercury, the ruler of the Eclipse and mutual greeting with Venus, is in a degree of restoration and rebuilding. What follows will hold for every person, especially those born on the cusp, around the 21st to the 26th of each month. The focus will be on temporary gain, perhaps at the expense of durable security, as long-term commitments can make them feel trapped. Solar drive is outward, authoritarian, defensive, and vigorous – an echo articulated from inside our existence power. This eclipse is predominantly demonstrative, preoccupied with sensitive burdens, which can be unexpectedly idealistic and flattery or passionate display is likely to cause some to be upset. If you feel no change during this solar eclipse you will feel it in the fall eclipses. Appreciate all that optimistic conditions come upon and don’t be impudent enough to believe they can easily overcome the negative ones. The new moon brings issues of communication, accuracy, spreading the word, and reaching out. Facts are vital to decision making, and all the data we have and need will now be obtainable by us! With these major aspects ending, we’ve learned the lessons of not communicating, and rejecting to incorporate new data with our experiences from the past. It is also a time to rejoice, have fun, release stress through walking, playing, contacting brothers and sisters, and embracing the child within! 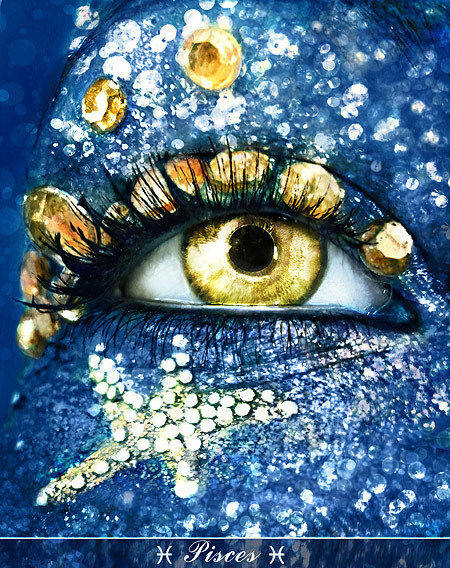 The Moon in Pisces ushers in a time of attentiveness and soberness. 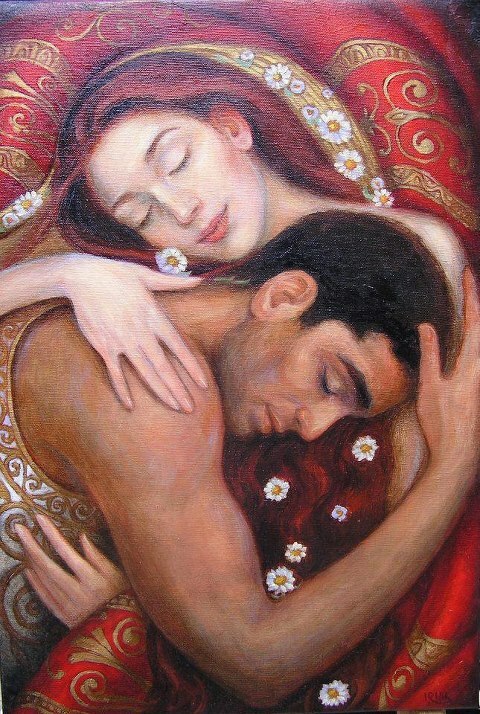 Relating effortlessly with others particularly enthusiastically, with unlimited ability to comfort and heal. Giving all of yourself for the sake of those around you; however, there is a likelihood of being confused with self-emotions, so being a hermit may be the best way to understand them. This will be especially difficult for Sagittarius as VPA continues to theorize that Saturn, the karmic teacher, will continue transit until Jun 21, 2017. It will then briefly will go into Scorpio and return into Sagittarius. This journey has another 3 more years. (Read more about it here). Hence, as many would say Saturn causes difficulties for many people, in my personal opinion I would say Saturn can be a good thing; it is a matter of how one handles them during the transit. However, it does not have to be all bad. On the other hand, earth signs, especially Virgo’s, are still smiling. Jupiter, the planet of expansion and luck, is still glorifying Virgos and all earth signs until September, even though right now it is retrograding. Western theory and astrology will, however, contradict this due to the theoretical prospective. I highly recommend that those who are focused on Western Astrology do not try to analyze VPAT (Vedic Philosophical Ayurvedic Theories) as it is a unique structure. It is my suggestion that if your center focus has always been Western Astrology, it would be good for you to contact my recommended astrologers Leslie Hale or Lee Stillwater to see how this eclipse will impact you personally. The focus of this blog is based upon Vedic theories, not to be associated with Western Astrology, and the association to astrological signs are place holders of personal characteristics. These are general tendencies and are not fixed for individual characteristics or primary predictions. The eclipse does not have to be disturbing as countless will claim; eclipses can bring developments in one’s life or sanction personal inventory to make improvements to stability. It is a time for expansion, gasping truths, acquiring information of the spiritual world, and get sensible facts from people. Let your breath out, the importance of sustainability and stability will be present. If your job or work was done with hard labor and meticulousness then the heavens will definitely support you; however, if you were spinning around just getting by then the angle of the eclipse will show you the direction you’re lacking to be successful. This eclipse will be exceptional in its own way; it is a renewed start for many, and for others it is an eye opener. Please note, I am not an astrologer and these are broad trends that will have emotional impacts on world opinions and insights of many depending upon how well they are controlled. The general tendencies will be chronologically listed by the sign which will be impacted the most. This eclipse is the most important eclipse of your lifetime Dear Pisces. This is the end of your cycle of Eclipses which began for you on March 20, 2015 (read about it here). In my predictive blog I had suggested that this will be a year that you will make some major changes in your life, be it be a new job, relocation, or even a life changing event, something is going to give. But you may not be the only one smiling as the heavens above are also smiling upon your brother Virgo who continues to be blessed. However, right now Jupiter, which was bringing expansion and luck to Virgos, is taking a break and will be back to see how well Virgos are doing without sparkles of fairy dust (read more about it here). On the other hand, your sister Sagittarius is now growing up and finding that difficult lessons bring precious gifts and she will continue to grow with a little help from her karmic teacher Saturn (read more about it here). While the twins continue to get shaken and rattled by Mercury retrograde in April/May/June and this fall (read more here). Pisces: Remember this is a growth process for you. The next 6 months will be crucial to your future. The last eclipse gave you shocking luck which could have brought you new work or good surprises in your career or health. Sometimes when we are lucky some things can get difficult. Be very cautious as you have a habit of working hard, you may not realize it but there may be times that you get a little under the weather as a result. Be cautious of how you spend your money and I would not be surprised if you have to travel more than you anticipated. You may also have self-confidence issues and could be prone to accidents, especially with your feet. If you recently got a job promotion, or changed departments, be careful as you may now have enemies that you did not know existed. Virgo: You may feel that money has been dripping in little-by-little and I wish I could say that things will be better quickly. Jupiter is retrograding and wants to see you apply the lessons on your own. The eclipse in Leo was not so hot for you, perhaps there was some insecurity in your work. Like I always say, eclipses bring bad and good together. Hopefully this eclipse will bring some pleasure. During this eclipse many things will turn around in your work but careful, still keep in touch with your close friends and relatives. Your relationship with your spouse may be improving and soon you will be able to come up with some plans to compete with enemies and competitors. Legal issues may also go well for you. Sagittarius: If you have not been feeling well, health wise, please continue to take care of yourself. Perhaps you wanted to travel and glitches occurred, or needed to learn something that you could not learn. And of course, good old Saturn did not help you either. But this eclipse could bring some beautiful things. Even though things are looking better be a little cautious driving and don’t sell anything right now. You may still find some difficulties at work, and if you are going to school this may also cause issues because of Saturn, but not to worry. Your work and business will get better, you will have the confidence you need, and you will get to travel like you want. Just try not to argue with family. Gemini: Something may have happened at your work where you may have been given some opportunities but maybe there is just so much to travel. Your patience may have been tested and something had to give. But like all things, if it was not that bad then you may have the same. You may finally decide to invest some time in some religious things and travel places where you had not gone before. Your relationship with younger family members should be getting better. At the same time, I would not be surprised if you get a promotion of some sort or get into some sort of a public event. Now it’s time to ask for forgiveness without losing face. This will not be the easiest year for you Dear Leo and Aquarius. Both of you will be transforming into beautiful butterflies. But like every butterfly, each must break out of a cocoon that is so utterly comfortable. The journey of the idealistic Aquarius already began in August of 2016 and will continue until mid-2018. Along with it you will change all the fixed brothers and sisters. Sweet Leos do not like change and this eclipse threw a bombshell on Leos (read more about it here), but Saturn moving into Sagittarius also affects Leos as it touches all fire signs (read about it here). On the other side, Scorpios are feeling a tad bit better now that Saturn is slowly moving away (read about it here). But most of all, Taurus will continue to get the blessings from Jupiter, but right now Jupiter is on a lunch break until June which may affect many areas of their lives. Leo: The last eclipse was your first and many things may have forced you to change your life (read more about it here). On top of that, Saturn in Sagittarius did not help you, or did it? If so, I am sure it was not as positive as you may have wanted it to be and more tears than laughter may have brought sadness to your heart. You now have put a lot of stress on yourself. You need to make sure you look at your health through a microscope. You may have to be a mediator for family members. At the same time, you will have plenty of support from your spouse. Work out old differences and be careful of communication as you may be misunderstood. Aquarius: The eclipse last year (read about it here) and the Leo eclipse (read about it here) may have given you mixed results but your love life should have improved a bit. If all was good for you then remember to balance everything; we must have the good and the bad to create balance. I can’t say this will be your favorite eclipse but there are things you may enjoy. The negative side is that you may have some problems with communication which could lead to misunderstandings with family. Be careful with money and your health as you may catch a cold. Be cautious with any investments, and most of all, your temperament. Scorpio: Finally, you should have felt better; however, the lunar eclipse in Leo should have brought some major endings for you. It may have shaken your foundation. I can’t say this is the perfect eclipse for you. However, Saturn is in Sagittarius. This eclipse may bring issues of family and home. Scorpios’ center of focus should be on their maternal aspects and leaving arguments aside. There may be issues at work, and if studying, there may be difficulties in concentration. Additionally, there could be difficulties in focusing on relationships. Be careful with any investments, and children may be the focus at this time. Taurus: The last eclipse perhaps was not good but at least Jupiter was gracing you until beginning of this month. This eclipse you may be happy with the way things turn out as you find unexpected financial gains. Be careful however, you may find out there are people who are talking behind your back. You may now have a chance to fix past mistakes but you still need to focus on your mother; control your temper, be careful walking and driving, and postpone any financial decision. Right now things are not so bad for cardinal signs except for the backlash from other comparative signs. Aries may be feeling the heat of Saturn from Sagittarius. Capricorn may be magnified with good wishes of Jupiter; however, things may be a little quiet for them. Libra may be wrapped up in work and religious activities, and Cancer may be feeling the effects of the Pisces eclipse. Aries: Perhaps you have lost your job or are having difficulties and are looking for a new job. Though the last eclipse should not have been bad, you may have felt some stress because of Saturn in Sagittarius. Perhaps this eclipse you may find things to be gracious for you. You may find that family relationships could start to get better and maybe your friends could even help in financial endeavors. Do not gamble or invest in “get rich quick” schemes as they will work against you. You must take care of your health and your expenses. Be careful walking or driving as carelessness and being in a hurry will cause unexpected accidents. Capricorn: Perhaps the last eclipse was not as good for you as you had anticipated. You may have been ill, or you had adversaries or enemies you had to deal with. During this eclipse you still have to take care of your health; you can no longer ignore it. You may also need to focus on legal and family issues. Be careful with investment property. While your confidence should be coming back, you will still have issues with your siblings because you may be over reacting. Libra: The last eclipse should have been very favorable for you and you should have had plenty of support from your family and friends. The only thing you were cautioned about was your finances. But as always with Libras, when it rains it pours. Your work life should improve a lot. Your confidence should be high, but with all this good energy it is easy to get confused and distracted so be careful with your money, walking, or accidents. Cancer: Nothing seems to bother you; sipping piña colada’s last eclipse. You may have had misunderstandings with your family. Unexpected expenses may have occurred and allergies were also an issue. Now, you will have easier access to travel and perhaps you may do some religious activities as you have the time. However, you must take care of your health. If you have been ignoring something you must get it treated. You may still have some family issues, just stay calm, cool, and collective. Please note these are VPAT tendencies not to be mistaken for astrology. For Western astrology charts and predictions please make an appointment with one of my recommended advisers Leslie Hale or Lee Stillwater. The solar eclipse in Pisces does require some due diligence. Care needs to be taken to avoid self-indulgence and excessive concern, or desire, for material possessions. Since the moon in Pisces represents Profound, Ingenious, Psychic, Empathetic, and Creativity in everyone, we must use the practical senses. You may also choose to recite a mantra every morning until the next moon cycle. Remember that with all applications of psalms and mantras achieving the desired result is dependent upon the quality of intention. When it comes to finding satisfying relationships and success, it is of the greatest importance to begin with a clear understanding of what your goal should be. I have chosen four mantras for this eclipse; two easy and two difficult. The mantras can be hard to pronounce for many but are a powerful source of energy. This Siddha mantra uses the universal origins that rule each charka: Earth, Water, Fire, and Air. This is also a time of Mahashivratri for most Hindus and thus a propitious time for renewal and rebirth for many. Please note that these are broad dispositions, and I highly recommend that you make an appointment with Leslie Hale to find out how this eclipse will move you. Often, Astrology could be a guide to what is forthcoming and Astrologers are able to give you a pointer of what you can expect. At the same time, Vedic readings are also relatively significant since aspects of the sun, moon, karma, dharma, destiny, and spiritual predispositions translate what is about to come so that you can make adjustments to gain the most benefit from the eclipse. I will be offering 6 month personal in-depth readings starting the 27th of February appointments are on a “first come, first served” basis regardless of how late or early you have booked your appointment. These readings will be incorporating parts of life that may not able to be expanded on by an Astrologer. Incorporating both readings will give you complete clarity of what is to come, what can be done to prevent it, and what needs to be understood. Together, you can amplify the best of both worlds and create a destined path of your choice. Please remember that I am NOT an Astrologer nor do I privilege to be one, rather, I am a Vedic Sanskrit Reader who combines Astrology as a value and basis of the reading. This surrounds the splendid transformation destiny and Karmic reading as an inference to all readings. The interrelations between Astrology and Vedic readings could be seen as similar however, the information received by a Vedic reader can often be overwhelming, true, and substantial to progressive and peaceful future. I hope that this solar eclipse and new moon in Pisces brings to you and yours a peaceful, loving, and harmonious 6 to 24 months. And remember that eclipse readings come in pairs. As most clients are aware, it is necessary to compare and contrast in order to get the most vibrant and accurate reading. If you are not able to finish your reading, or not going to be at a silent or quite place where you can take notes, it is best to wait. For my regular clients, I hope you were able to utilize the new spiritual cleansing recipe to prepare, allowing you to be grounded for your reading. The cleansing provides pure healing, insight, and calmness. This will be the last 6 month reading until the fall and just remember good old mercury is not so far away. Wishing you and yours the most spiritual journey. I wanted to give a special thanks to Rasheda, Judy, Linda and Paul for not only holding me up during my most difficult times but applying what I taught you. Which is to love unconditionally, and holding hands at a distance. As I had already began to write this blog around the 8/9 of September I could already feel the energy of this eclipse. I procrastinated posting, I felt uneasy even though I had already completed it. My psyche antennas were telling me no every time I tried. Especially, due to the water trine that I carry with me everywhere I go. Hindu practices demand practicing Brahmins to begin their preparations for the eclipses 5-7 days prior to the actual event. Principally because of standards and ethics demanded by the culture. The planning involves cleaning their homes thoroughly 5 days prior to the eclipse and sanctifying it with Ganga (holy water) ,lighting diva ,doing meditation daily, and partial fast (eating one meal a day at night). The cleansing has to be done outside and inside. I began to clean outside by picking up leaves, cleaning windows, sweeping and following with sprinkles of holy water at each corner of my home. However, each time I sprinkled holy water at the corners and at the entry ways, I felt as though someone was pushing me against my home almost as if they wanted me to fall or hurt my self. It was such a powerful push that I could barely catch myself. When I looked behind there was no one. This only happened when I sprinkled the holy water. In the evening it is mandatory to do deep meditation doing our chant meditation. However, every time I was transcending into a peaceful state I would end up in another state of conscientiousness. I was walking up to a store and something exploded and it forced me to fly backwards. The scene played over and over like an old movie stuck on the same slide. Always being disturbed during meditation which is suppose to be relaxing. Sleeping was not much easier either. Every time I had gone into deep sleep once again I was transcending into another place and time. But this time it seemed that there was water and fires everywhere. One part of me was drowning in the water almost if I was drowning in a typhoons and the next scene would bring me to a place where everything was on fire and I was running from it. Every morning from September 10 through the 14 I woke up at 3:30 unable to sleep. Finally, I decided that I could no longer do my spiritual meditation at night rather at the nearby temple. Thus early morning on the 15th, I went to the temple and sat down for my meditation and images became clear and every time I left to go home something pulled me back inside the temple. It took all the strength I had to get into the car to go home to begin my 2 and ½ hour Pooja which took every ounce of energy I had. With nervous energy I was able to post this per-written. I hope you understand that this energy is incredibly spiritual and very powerful. It has been a memorial year to remember. With grace, some of us had no choice but to stand tall and suffer through many of life’s difficulties, while others were graced with gifts of enlightenment and maturity. They say that next to January 1, many people believe that September brings the most new beginnings. Many begin their diet regimens, children go back to school, and the fall equinox brings enlightenment and pleasures as the summer heat is drawn out, leaving us with the much needed fresh air of the fall. This could very well be true however, no one said that our emotional world would not be a roller coaster. The Spring shook up many of us by waking our spiritual senses with the total solar eclipses in Pisces in March (Read about it here) and ending a cycle of eclipses for Libras as they received their marching orders to change or deal with the consequences until the next eclipse in 2025 on March 23 (read about it here). But no doubt, it was a cruel summer with the heat, death, chaos, and retrograde, so many were lost and the universe brought us revelations. A new beginning is now upon us with a new sense of freedom for the next year and a half with a series of Aquarius eclipses which began on August 18, 2016, (read about it here). However, Virgos are done with all the changes and they are ready to walk the walk and talk the talk; they too have been given their marching orders as of September 1, 2016 (Read about it here). We begin to wonder now what? By the time this blog is posted it will be less than 60 days to the election, and many Americans are so uncertain if they are really keen on any of the candidates; but do we have any other choices? The pain of deaths, destruction, and unwarranted cruelty still seeps through our veins. All we can really ask for is some Divine healing and spiritual hope. As the full harvest moon in the northern hemisphere, and corn moon in the Southern hemisphere, approaches us we can’t help but to wonder if there will be any revolving doors to the mess and chaos. On September 16/17, 2016 we will have one of most spectacular recurrent historical events. The magnificent pattern will grace the sky with a lunar eclipse in Pisces at 20 degrees, as well as full moon in Pisces depending upon the orb. As both Leslie Hale and I had mentioned in our combined blog, there was a similar eclipse in 1997. However, this will be the only pattern that will repeat and I don’t see another repetition between now and beyond 2040. The Penumbra Lunar Eclipse will begin to its motion towards the moon around 12:54pm EST in the Indian Ocean and proceeds south passing India. This wonderful event will be observed beautifully by many European, African, and Asian nations, as well as on some eastern boarders of Brazil. The greatest peak of the eclipse will be at 2:54pm EST while the moon will be its fullest at 3:06pm in Pisces. By 4:54pm EST the eclipse is over and those in the Northern and Southern Americas won’t even notice it happened, but it will be felt emotionally. People with mutable signs (Virgo, Pisces, Gemini and Sagittarius) prominent in their charts will have a tough time sorting out their selves from their passions; failing to recognize that something (or someone) they want may simply represent ego involvement instead of emotional commitment. What we are called upon (or driven) to do may often conflict with what gives us emotional fulfillment; or we chase after our yearnings while we discard or miss the mark to develop our talents and skills. This will be the conclusion of a cycle, or a substantial transformation, in a course of affairs focusing on home, family, and health. It may be that it will end a relationship, or a partner may become unresponsive. Fixed signs – think back to July and August of 2005, August of 2007 and March of 2014, it is imperative that repeated errors do not occur. When a lunar eclipse occurs, the earth is transitory between the Sun and the Moon, producing the Full Moon that we are familiar with every month – but in this case, the position is perfect; the occultation of the Moon complete. The force of the Full Moon is great, yet she is absolutely covered for about an hour by the earth’s shadow. The Sun and Moon are occupying contrasting Astrological signs, therefore highlighting the precise opposition characteristic in those signs. During the period of occultation, the Moon’s encouraging light is momentarily hidden. We may experience a catastrophe of absence; the specific sort of deficiency will be contingent universally upon the astrological sign in which the eclipse occurs, and personally upon the natal astrological house (realm of influence), as well as the major aspects made to natal planets. This eclipse is predominantly relationship oriented – our relations with others can be cut off, confronted, or unexpectedly repaired as the shock calls one to action. We may profoundly reflect on our feelings and needs within the context of the house, sign, and planetary characteristics affected. To fully increase the value of prospective in the lunar eclipse, we must explore both houses and signs that are brought into play. Where the Moon is – we can challenge our fears, old behaviors and reservations, and where the Sun is we may discover the resources to hold or release from all that oppression we experience in life through our creative efforts. In any event, there are prospects for deeper understanding, and finding a balance in our lives. Those that will be affected the most by this eclipse will be those born September 9 through 29, December 9 through 29, March 9 through 29 and June 9 through 29th. 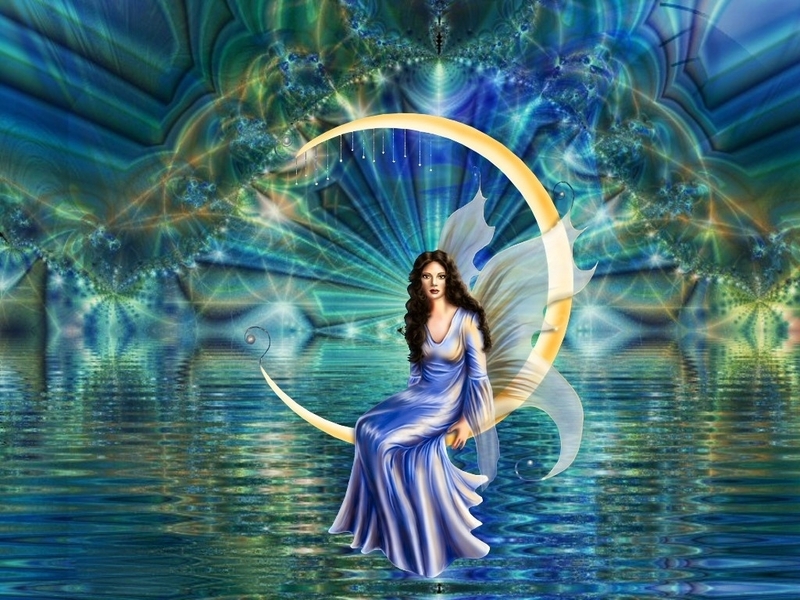 The Pisces Full Moon represents a time of very melodramatic moods and reactions. Self-destructive urges can arise for those under the hold of pessimism and cynicism. For many it becomes more challenging to relish and appreciate the value of life. The control of passionate energy can be advantageous if focused into imaginative activities and self-healing, but often there is a robust craving to just slide into diversion. It is better to indulge in optimistic distractions rather than returning to more damaging or diverting activity. Miserable propensities can definitely take over under this Full Moon. The influence of this Full Moon can be especially tough or perplexing for those who were born under a Full Moon PHASE, as well as for those of the mutable Sun Signs Virgo, Gemini & Sagittarius. 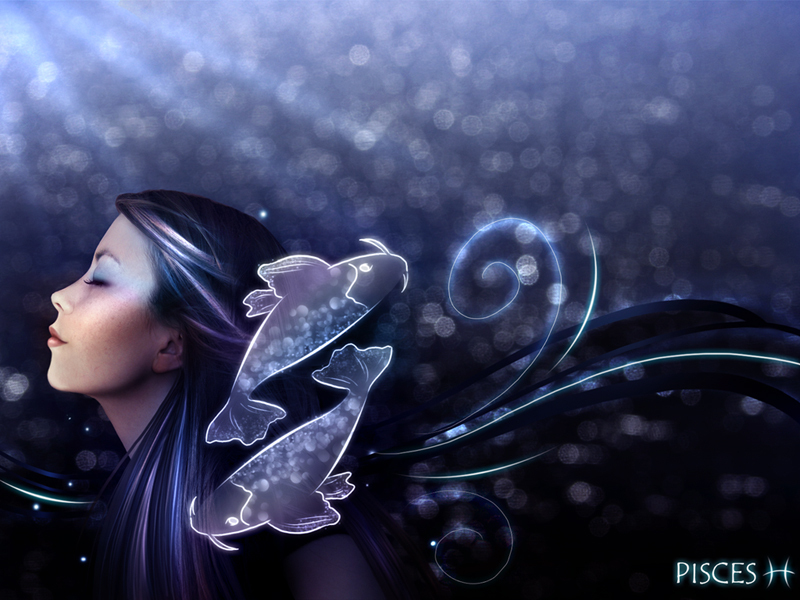 The Watery Pisces Moon feels everyone’s woes with a kind and sensitive heart. Give to others, share your dreams, and create from your deep imagination. Don’t let your wandering heart get lost! The Moon in Pisces marks a time of emotional compassion, melancholy, and spirituality. People may become more subtle, kindhearted, and inspired. As creativeness will be heightened, this is a good time to explore musical talents and other artistic accomplishments. Represented by a Pair of Fishes, Pisceans are noble and spiritual, often powerfully intuitive, and they are accessible to the communal unconscious. While the Moon moves through Pisces, people may feel zealous and tender but also delicate, flaccid, and nervous. Dreams and recollections may provide stimulation during this inspiration. The general tendencies which I am about to elaborate are not Western or Vedic astrology but rather, based upon Vedic Philosophical Ayurvedic inferences. References are based on mathematical and philosophical probability using astrological signs as place holders for a characteristic. For those that have had a Vedic Philosophical Ayurvedic Chart done, this will map out your next 6 months by placing them in the boxes given. In conjunction of the placement of the Aquarius eclipse on August 18, 2016 (read about it here) and the Virgo Eclipse on September 1, 2016 (read about it here), one can generalize what could most likely occur in your life. For those interested in the Western Astrological view of how this eclipse will impact you I would suggest you contact my recommended astrologer Leslie Hale or Lee Stillwater; and as far as a Vedic Astrologer, I am unable to recommend anyone that I am able to trust at this time in the United States. I will begin my prediction with the signs that will be most impacted by this eclipse – mutable signs, especially Pisces. Depending upon what inferences you choose to follow, according Vedic Philosophical theories, on August 9, 2016, Jupiter entered Virgo and will remain there for the next 2.5 years. Saturn is still in Scorpio thus creating the itch to make a change into Sagittarius in January. The Virgo eclipse may have given a boost to Sagittarius and Virgos alike. With Mercury going direct in October things will be much calmer. Special Note to Pisces: You must make a decision to close the doors that are no longer beneficial to you at this time and plant the seeds to do as the next eclipse will force you to make a change. 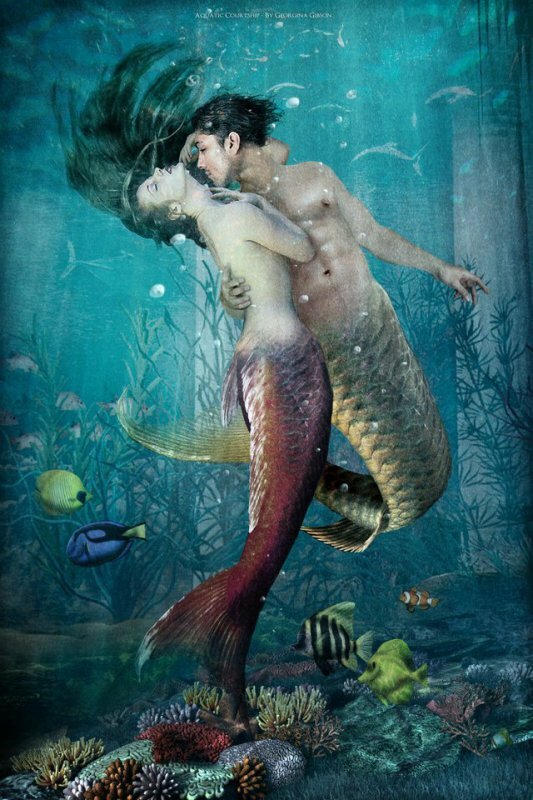 Pisces: It’s time to break it or make it in areas of all interpersonal relationships. Open enemies and group work will be the trend. Gemini: Swift decisions and actions may work in your favor; however, confusion may lay in areas of career and authority figures. Virgo: A new home, project, or plans of the future are on a good pace. Making plans for long term steadiness, focusing on paying off debt, and accumulating assets are the theme. Sagittarius: Give a face-lift to attitudes regarding relationships to all by virtue. You may change your mind where and whom you will live with. Depending upon what inferences you choose to follow, according Vedic Philosophical theories, the Aquarius eclipse (read about it here) will affect all fixed signs by association. Thus if you have Leo or Aquarius anywhere in your chart, you will be affected by the series of eclipses headed your way in 2017. Saturn is still in Scorpio, so if you are a Scorpio and things are taking you by surprise, relationships are ending or shocking you, and you have Scorpio anywhere in your chart, this is Saturn’s way of saying it is time to say good bye (read about it here). 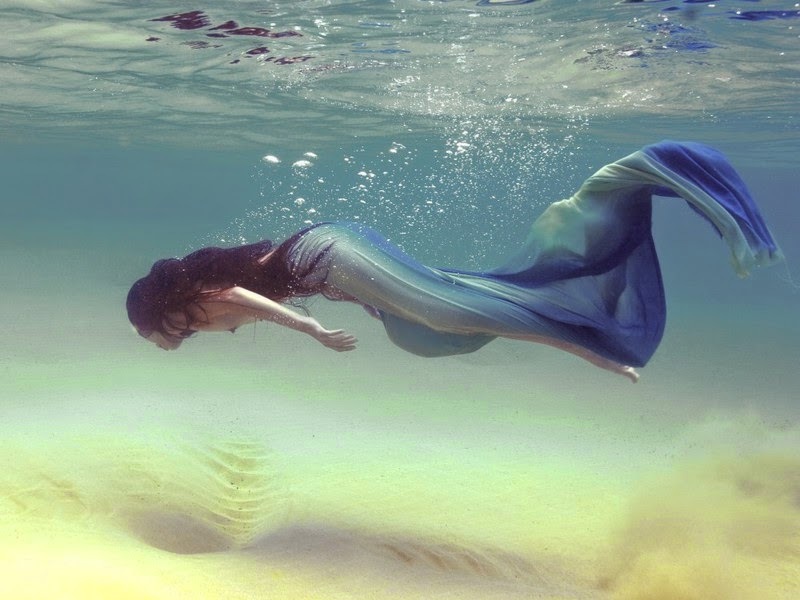 Aquarius: It’s time to move on and let the strength inspire your personal power. Relationships may change where lovers and friends may seem indifferent. Taurus: Time to work on work, health, and better communication. Watch jealousy issues. Leo: Spending lavishly or have unexpected expenses. Kindness must have boundaries. Scorpio: Launching a project, taking big steps, gaining personal power. Make a budget for yourself for 6 months and you will do well. Depending upon what inferences you choose to follow, according Vedic Philosophical theories, Jupiter will enter Virgo (read about it here) however; I will introduce the parallels later in October. Pluto will be going direct on September 29, 2016 in Capricorn so perhaps some pressure will be off and it may make things a little better. But please remember, next year’s Leo eclipse will cause Aries discomfort. Capricorn: Focus on creative projects, spirituality and volunteer your service. Take everything slower than normal and always have an alternative plan in case something goes wrong. Aries: Sudden opportunities for the better could arise. You must de-clutter by organizing your home and your life. Cancer: Physical, environmental, financial, and attitude change. Step up to your professional ladder and shine. Libra: Good time to fix, repair, renovate or correct issues of work or health. Your deepest issues can only be fixed if you fix them by yourself. Please note these are general tendencies based upon Vedic Philosophical theories not to be mistaken for Western or Vedic Astrology. Due to the nature of the eclipse I highly recommend that you clean out the disorder of anything that was not dealt with during the solar eclipse and finish projects which you started. It could be as unimportant as spring-cleaning, clearing out your junk drawer, or consolidating your closet. Even insignificant tasks as cleaning out the junk mail in your in-box and sent folder can help, for every unwanted thing that is removed; there will be room for something new to come to you. I also recommend that during this Moon cycle you purchase a white and purple candle. Carve your name on them and anoint the white candle with sage essential oil and purple candle with rose essential oil Chant in silence Psalm 40 three times. You may also choose to recite a mantra every morning until the next eclipse cycle. Remember that with all applications of psalms and mantras realizing the desired result is influenced upon the excellence of intention. When it comes to finding a satisfying relationship, it is of the greatest importance to begin with a clear understanding of what your goal should be. As this moon is most crucial until next February, the mantra has been changed. Lunar Eclipse brings lots of changes; I will be doing 6-month in-depth readings instead of my normal 3-month readings. Remember that we can manifest whatever we want. Let’s look together at what you want to change so the transition to the solar eclipse can be smooth sailing. Look for my blogs on Jupiter changing signs, Saturn parallels, and many other things to come. The turn of events in every aspect of our world gives us no choice but to make changes in our lives. Those choices are either forced upon us or burdened so that we have no option but to transform. Not only is the eclipse transformational but it is as spiritual as one can comprehend. This is the 2nd eclipse of the series of eclipses in Pisces that began in March of 2015 (Read about it here). This absolutely does not mean that only Pisceans’ are affected by this eclipse; rather, each and every one of us will be affected. The most magnificent will be the questioning in the cosmos by our very first Super New Moon. Supermoons are known to appear bigger and brighter than all other moons. It also means that at these times the moon is closest to the Earth. As far as the new moon, we may see it but the eclipse will surely be eventful for those living near the Pacific Ocean and partially for people in South and East Asia, including parts of Australia. The total solar eclipse only occurs during a new moon. As the planets shift through the orbit the moon happens to get between the sun and the earth which casts a shadow on Earth’s surface. The shadow creates a total, or a partial, eclipse. As you may recall, the last total eclipse was on March 20, 2015 which was also the new moon in Pisces (Read more about it here). The eclipse will begin its motion on March 08, 2016 at 6:19pm EST and the moon will slowly move between the earth and the sun around 7:15pm EST. The moon will be formed perfectly void exactly at 8:55 and will pass between the sun and the earth, forming an exact total solar eclipse, at 8:59pm. This event will take about 1 hour and 38 minutes to complete the eclipse, then entering partial eclipse mode at 11:34pm on March 8, 2016. Even though it seems that it is a long event the actual total eclipse will only last for 10-15 minutes. As beautiful as it may seem, the New moon and causation of the energy of the eclipse in Pisces is more detrimental than the cosmos. The new moon will void our skies at 8:55pm EST, 7:55pm CST and 5:55pm PST at 18-19 degrees Pisces (depending upon the orb); can I say rewind, re-run? We had a Solar Eclipse at the same exact degree on the same exact day: March 08, 1997. However, while moon has not been at this exact degree since 1997, the closest it has been was in 2008 and it won’t be this exact degree again until 2035. Thus, not only will this be serendipitous for many of us, it is spiritually connected. As I began to write this blog, I had just completed writing the blog about the full moon in Virgo. Many people do not understand how the full moon and new moon affects individuals and how planetary inferences affect people’s world view and actions. Often they dismiss these ideologies and then wonder why there is so much chaos and confusion while looking for rationalization in their everyday life. Yet there seem to be no answer. Finally, when someone explains it in terms that they can understand, the Ah-Ha moment comes to them. When the cosmos shuts out the light, like it will during the eclipse, this can impact the world view and focus of humanity; instead of looking at what is in front of us and things that are available to us, we look at what we cannot have. Solar eclipses end key periods in our lives to begin a new cycle. In this case, as I stated, this cycle began in 1997 & 2008. Therefore something which began in 1997 (if some of you were around) is finally ending and a part of something that began in 2008 is also ending. 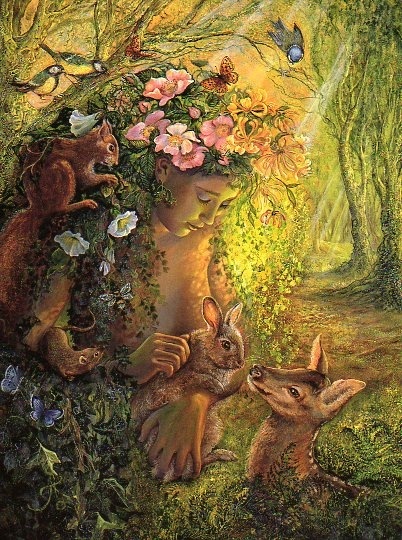 Its best to look deeply into what was really going during the spring equinox of both years and look at the circumstance now; if it is not complete it is time to let go. Depending upon which philosophy one follows, eclipses have always had a bad omen associated with them by definition. To some it puts things out of order which causes fear and chaos. Some fear that because it becomes dark, evil will dominate the earth. This all stems from the Greek definition of the word “abandonment”, to leave, or detach. In literal terms we are doing the same, detaching the old and making room for the new. We are evolving and as we continue to do so we must look at each element in our life through different levels as we mature, and bring new concepts into our life while looking at each particle through spiritual glasses. How else are we going to be accepting of spiritual power if we are not mature enough to understand and accept it? Thus, we must let go and make room for new. Whether it is a full moon or a new moon, whenever there is a Pisces moon there are Neptune qualities which embark several properties. 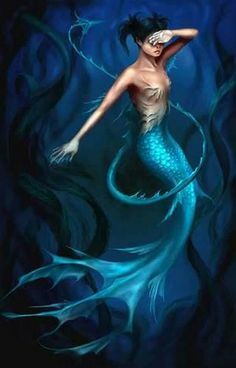 Pisces has extraordinary restorative properties; however, as a water sign, Neptune has the usual propensity to bring desolate gusts and water. We have a new moon in Pisces every year and every year we have had natural disasters involving water, gusts, snow, and things revolving or surrounding water. Usually, the events occur without warning, and for others there are no meditative factors to stop them. This eclipse is the proclamation of the events of 1997 and 2008. We are also now aware that the energy of the eclipse can be felt as early as 5 days before a major eclipse. The propensity for natural disaster damage of Neptune caused major flooding in the Ohio River which was declared a major disaster on March 04, 1997, Cyclone Justine in March 1997 cleaned house in New Guinea, and Cyclone Hina in Tonga. Let’s fast forward to March 2008; Neptune was at it again when major floods hit parts of Texas all the way to Pennsylvania killing 14 people and thousands of people had to evacuate. The Bihar Floods of India in 2007 -2008 destroyed many, including entire animal herds and farmlands worth millions to farmers. But there is an old saying – whatever Neptune destroys was confusing and not secure, thus not passing his test. In our own lives, similar to those things from 1997 and 2008, if things do not pass the test, they will be gone. Solar Eclipse dynamism is marginal, gentle, protecting, and energetic – ricocheted and transported from within our life power. This eclipse is particularly detached and purpose oriented and our ideologies and persistence can be improved and reinforced. 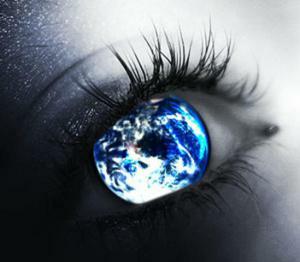 We initiate deep reflection of our influences in the world and the complete manifestation of our humanity. It is now time to eliminate all sluggishness or choices that you may have put off. It is time to act and change your life. Without modifications in the areas of immobility and delay, there will be karmic lessons to pay after 6 months. The information that will be received from the cosmos and our own psyche will certainly revolutionize what you thought something or someone was. Actions are based upon the disclosures that are exposed within a few weeks after the eclipse and transiting for 6 months. Therefore, the moon in Pisces plays a significant role for revelation and spiritual awakenings. This eclipse is so influential that it is prudent to treat it as if it was a total full moon. Therefore, do not make any choices regarding relationships, careers, legal issues, or moving. Any decisions that are made 7 days before and 7 days after the eclipse may either not turn out in your favor or show that what you saw, and you think you need to see ,will be two totally different things. Neptune (Pisces) will cause mis-perception creating the need for reconsideration in every decision. This new moon will provide adequate energy to exact self-destructive thinking and actions. The moons vigor will permit the awareness to use our secretive power to join to our main psyche (God) helping us to manifest our visions. However, Saturn (planet of lessons and Karma) entered Sagittarius on December 23, 2014 and has continued its journey transforming Sagittarius, people with Sagittarius in their chart, as well as mutable signs (Read about it here). As of March 21, 2016 Saturn is retrograding in Sagittarius. Retrogrades are often characterized through evaluating things from the past, how they were controlled, and what could have been done to create better outcomes. While Saturn retrogrades, messages, ego centrism, as well as clashes, are possible if we are not patient. While in direct motion (read about it here) it reforms, produces, rewards for hard work, and brings lessons and challenges. When retrograding, it will slow down our life; Saturn is on a coffee break and takes advantage of preparation, shaping, and creating goals to plant seeds in the autumn of 2016. Saturn will affect all those who are Sagittarius and those that have planets and houses in Sagittarius. You may consult Lee Stillwater if you need further information on Saturn and Chiron (here). As if we have not had enough retrogrades this year, poor earth signs and Virgo’s continue to experience them. This is especially true for Virgos; we know how much you like your sweets and the universe had given you the pleasure of lady luck right by your side. A gift of Jupiter last August (read more about it here), many Earth signs including Mutable signs and all those who had Earth signs in their charts, were happy and content with their financial security, prospective careers, or job hunting, and things did not look bleak. Then the cosmos asked, and continues to ask, a question from January 07 until the middle of May 2016. Whatever the question, it has a four prong theory: self-discipline, karmic test, smugness, and lastly, spiritual growth. There is an old saying; “nothing in this world is free” frankly, this is true. But to have such a gift one has to earn every bit of Jupiter, a planet of expansion and fulfillment. Self-discipline is exactly how it sounds; when things don’t go your way, do you have a tendency to over react, worry, blow things out of context, etc.? If you do, you must break this habit as patience, self-discipline, and faith will work for you. The second prong deals with the Karmic Test which is that you must, no matter what you have or don’t have, always be content and good to people as happiness comes to those with good spirits. This means to accept everyone, no matter their status in life. Self-righteousness/smugness focuses primarily on ignorance, greed, selfishness, and wastefulness; always be humble and kind. Lastly, spiritual growth says that this is time for being involved in spirituality. If you don’t have a faith or religion get involved in mundane philosophies as yoga, meditation, self-help, or anything that brings peace and happiness to the soul. For a deeper look into the effects of Jupiter, I would suggest you contact my recommended adviser here. With Mercury having just moved out of retrograde, Jupiter and Saturn still remain in retrograde. Essentially, every person will be pretentious in one way or the other as a result. Whether this is through Jupiter, Saturn, or this moon, circumstances and world understandings will certainly be implementers of rebellion, either physically or psychologically. The change will open many doors to medicine (perhaps cures) and spirituality. The greater importance will be where Pisces is obvious in one’s chart. It is extremely important to comprehend the Pisces sensitive impact and how prone we are to be psychic sponges. The spiritual moon will give resistance while enchanting us to act, give rise to mortality and its nature of secrecies, and finally, rebirth. This moon will increase visions and shock the mind to a new path in life. The past and present of life must die. Discriminating patterns must also be determined. Remember, this is the silence and darkness before the dawn. The theme will be to signify life as if it can really be unnatural through manifestation and thoughts. The New moon is an indication a time to clear things through reflection and unrestricted love. To be able to differentiate that people are doing what they can with what they have. It’s a respectable time to absolve those whom have hurt you. It is time to let go of principles, even if it means to cry, and let it all go so you can trigger a relaxing process. It’s a time for fate, the eye of infinity. Fastening the love you have for someone and being the psychic sponge for those that value healing energies. Provide yourself the consideration of new beginnings. Pisces moon highlights a time of immobility, prayers, and the sowing of seeds for springtime. It is a time of earth regeneration when the first traces of spring are so enticingly close. It’s also a moon of Shiva who removes our inefficiencies in order to bring spiritual development and perfection. Shiva is the graceful lamination that carries us to an upper plane in our lives; to give us passageway to hold our life with humbleness and kindheartedness so that we walk in his light. The information which I am about to present to you is not predisposed to individual astrological charts; rather, it reflects Vedic tendencies and generalization. If you want a personalized astrological reading I would suggest you make an appointment with my preferred astrologers, Leslie Hale, Melanie, or Lee. Please note I am NOT an astrologer and will never claim to be. The universal predispositions are grounded upon Vedic examination and evolution’s. They are NOT Western Astrology, nor are they Vedic or Progress Astrology. Rather, they are a determination of the conflicts that can be avoided by each individual. Remember that the trend is currently based only on the solar eclipse. When combined with the lunar eclipse broad tendencies (will be posted at the end of March), one will be able analyze the situation as a whole for a full six month prophecy. I will begin with the prophetic symbols impacted by the eclipse more intensely than others. These people could become extremely irritable or extremely kind depending upon how they are able to handle the energy. Again, it is advisable to understand that to get a complete picture of how the next 6 months will be determined, you will need to combine the solar and lunar eclipse tendencies. Mutable signs are continually metamorphosing with Mercury retrograding 3 to 4 times a year and slowing things down for them. Learning difficult lessons through Saturn crossing through Sagittarius and the retrograde energy of Virgo. 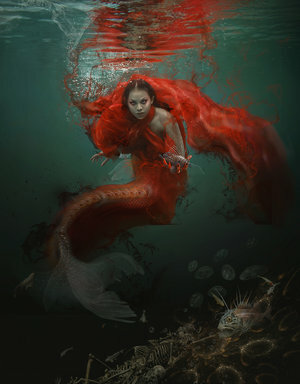 Pisces (Meena): All Pisceans, including those that have minor Pisces in their chart, will be affected by this eclipse. The intensity of this eclipse will be experienced by those people who have the sun and the moon in Pisces and minor and major planets in Pisces, especially those that are born March 03-13. Pisceans will now be able to find some of the most gratifying changes in their own personalities, especially those that are in industries which use vision. They will now be able to express themselves better and in the way they should. The key points are integrity, pride, existence, and experience. Things that no longer benefit them will now exit. The problem with this is Pisceans have a difficult time letting go. The things that have to be let go are things that have made them defensive, angry, and very touchy about discarding. Gemini (Mithuna): There could be major changes in occupations and projects with possible promotional endeavors. They may have the complete focus they need to be recognized for their work; if they are writers they will shine, if they planners for large groups of people they will be recognized beyond their dreams. You may not be as affected by this eclipse as you will the next eclipse in Libra, by association, so get prepared for your own transformation. Virgo (Kanya): Though this may not be more about you, you could inherit more than you could have desired. Your life partner or your mate is about to be delighted, and with this you will receive maximum joy and moral support like you have never received before. If you are not married, or with someone, it’s an ideal time to open the doors to new possibilities and start the show. Don’t worry Virgo, lady luck is only gone until May. Make sure your decisions are spiritual and humble in every way. The next eclipse will be a lunar eclipse in Libra, similar to the alignment we had in March/April of 2015 last year (read about it here). Therefore, another alteration for Cardinal Signs (Cancer, Libra, Aries and Capricorn) is equally important. But remember Libra, this is it for you. If you have not learned it by now you may pay the price in 7 years when the universe asks you what alterations have you made? Have you taken risks for the price of pleasure? Libra (Tula): The eclipses you may have ridden through (April 2014 – read about it here), or (April 2015- read about it here), should have taught you needed lessons. If you haven’t learned them you will be stuck with what you have. Staying busy and entertaining will be great; however, taking good care of your health and debt must be your number one priority right now. This is the time to get your health regimen in gear. Most of all, because Libras are naturally charismatic, there is a high chance of envy among friends. Capricorn (Makra): This is the best time to travel. Open up lines of communication because important good news is on its way. You are also looking and thinking from a whole new prospective, but this time with effectiveness and improvement. Please remember Capricorn, by association you will be affected by Jupiter retrograde until May 2016 (read about it here). Cancer (Karka): Protect your character at all cost; it seems that people want stomp on it a little bit. If you want to go on a long distance trip this is the best opportunity for you. If you are looking for news from a distance, it is on its way. It is time to learn spiritual activities such as yoga or meditation, and it won’t hurt if you go back to college and heighten your skills. Fixed signs (Aquarius, Taurus, Leo, & Scorpio): Some of you have been beaten, stepped on, or ran through the garbage disposal, and came out on the other side (Saturn in Scorpio). Others went through one year of intense introspective time when Mercury was in air signs, beginning with Mercury in Aquarius . But lucky for you Leo, you were in the grand time of your life when you have lovely Jupiter in your sign for almost 2 years, until August of 2015 . Now it is time to rest. Many of you may only feel restless energy, while others become emotional sponges for people in their lives. Aquarius (Kumbha): Finally, your time has come. The eclipse is on your side and it comes with success in your finances. Many Aquarians will now have the focus they need to plan their financial endeavors more successfully. The garbage of family negativity is now in the past and the universe is now giving the healing energy necessary to move past difficulties. Taurus (Vrishabha): On one hand things may be coming in a trickle where Jupiter Retrograde (read about it here) may teach you important lessons to be humble. On the other hand, I am sure you remember that you had some unexpected money that may have come to you last year and this year I would not be surprised if it happens again. Another positive thing is that your circle of friends is about to expand too. For those working in larger corporations, this is going to be a blissful expansion in your professional life. Leo (Simha): You have had almost 2 years of bliss. Some of you may have gotten married, had children, new jobs, or had a baby; something positive must have happened. If not, you did not take the opportunity of Jupiter . Now, by association, Saturn is bringing difficult lessons (read about it here). But no need to worry too much as this is the time to dive deeper in areas of the philosophical world to find your calling, and in the financial world to get yours in order. Scorpio (Vrischka): You have been run over by the Saturn truck for two years (read about it here) and now it is time for you to rest. But, you know you. You seem to have the knack of being an emotional sponge to people. So why not get away from it all and go back to school? If you decide that education is your path, this is the best time for it. Brush up your skills because you will benefit. Or, if you want to have children, it might happen; be careful though, if you are not planning them an oops moment could also happen. Then again, if you already have children they will surely bring news that will bring music to your ears and cause your heart to pitter patter. Keep in mind that everything above consists of general Vedic philosophical tendencies and NOT astrology. General astrological charts and predispositions can be uncovered by a learned astrologer such as my recommended astrologers, Leslie, Melanie or Lee. My predictions are based on the groundwork of Vedas and learned prospectus; not to be compared to Astrology of any kind. Please keep in mind that I am not an astrologer, rather, I am a Vedic reader, and there is an infinite distinction. Astrology is a tool which opens the door into the enigmatic future. Alternatively, the philosophies of Vedas give me knowledge to determine the forks ahead while the cogitative and psychic energy force interprets these paths into Vedic Readings. 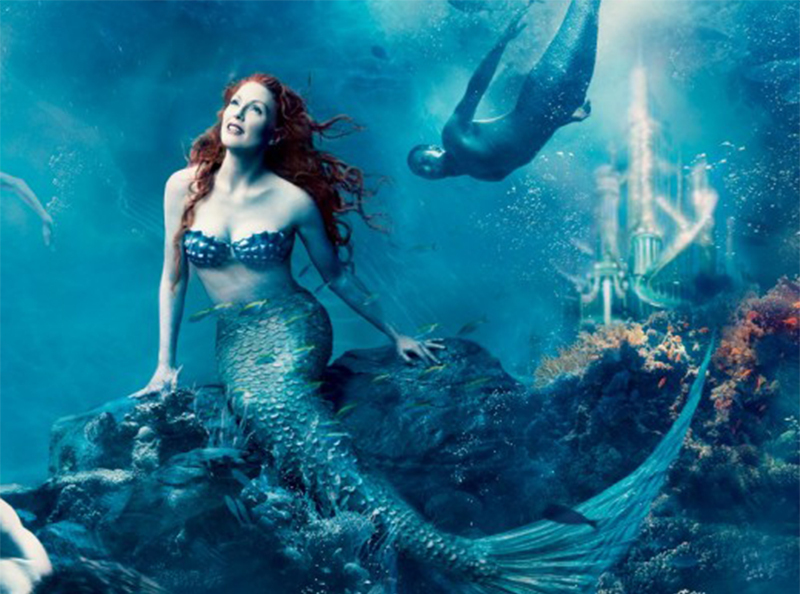 The Pisces new moon denotes a period of immense viewpoints and responses. However, for those with large egos, self-destructive impulses will emerge. For many, it is difficult to cultivate and demand significance, and the excellence, of life. The inspiration of subtle energy can be helpful if focused into pioneering endeavors and self-healing. However, there is a vigorous desire to merely slip into prying. It is better to indulge in creative hobbies rather than generating more malicious, troublesome undertakings. Low-spirited tendencies can certainly rule under this New Moon. The motivation of this New Moon can be predominantly tough or perplexing for those who were born under a New Moon phase, as well as for those of the mutable Sun Signs Virgo, Gemini and Sagittarius. This also holds true for those that have any planets in Pisces (in this case, everyone) plus those whose birth Moon is in Pisces. The New Moon can suggest a solemn time for likely accidents, hurts, negligence, and the accountability of hurried choices or judgments. 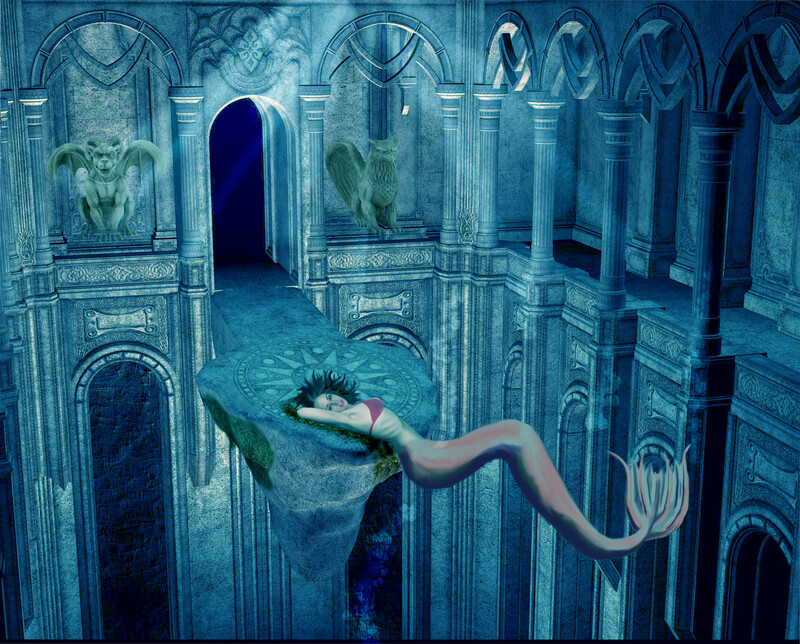 Pisces Moon makes many feel desolation with a sympathetic and discerning heart. Donate to others, share your revelations, and open your feelings. Don’t let your itinerant heart get lost! The Moon in Pisces results in a time of exhilarating compassion, and devoutness. People may become more sensitive, understanding, and ingenious. As innovation will be intensified, this is a noble time to learn musical skills and other creative activities. Signified by a pair of fish, Pisceans are self-sacrificing and sanctified, often mightily conscious, and they are vulnerable to the accommodating. As the Moon moves through Pisces, individuals could sense feelings of being excited and caring but also restrained, distrustful, and appalled. Revelations and memories might stir throughout this influence. 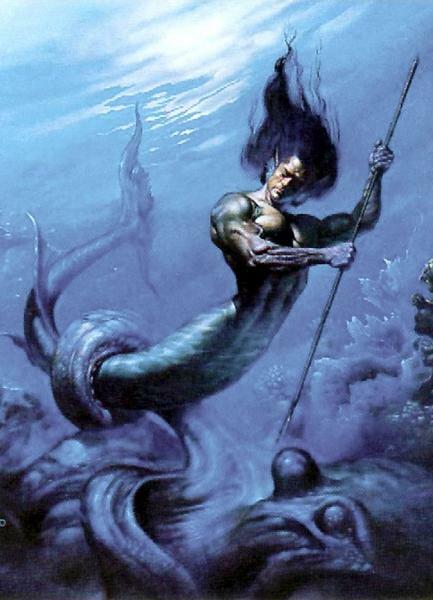 Neptune transmits a driven energy psychic tentacle which rules Pisces. Views are robust when the moon is in Pisces. There is unadorned warmness to music. Propensities to experience uncovered, spiritual, and altruistic pleasures are also felt. The moon in Pisces adds an embryonic dogmatism that can generate moods of powerlessness, drifting into withdrawal as an expressive armor. Individuals may feel compliant, subtle, sincere, considerate, and content but effortlessly dispirited. Some might see combinations of blurred remembrances (often identified as past lives) or insights into spiritual wisdom’s and how they relate to present circumstances. The moon in Pisces demands an answer to the question: how spiritual is life’s path? It’s about transporting us nearer, rather than letting go. The moon is supporting us to form our lives for the following year. 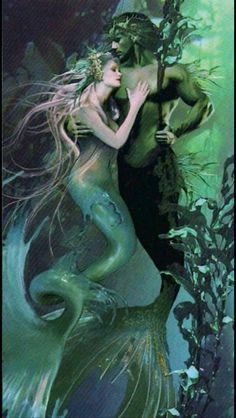 The liveliness of Pisces strengthens and begins to grow more intense as early as March 02 and this energy may persist for another 6 months. This is a period to love those who love you, let go of the wounds and discomfort of others, and inspire yourself. Envision for an instant that you are walking on the beach, as you walk you leave footprints and the waves wash them away just like this moon does. Leave the past behind. Be the change and move concerning your destiny. Reflect more. Bond with people who are around you. Center on things that have formed difficulties and losses, find the spiritual path, and learn the lesson. The moon in Pisces is Mysterious, Ingenious, Psychic, Detached, and Creative. We must continue to be observant and use our psychic gifts to move in the course of decision-making. It is my suggestion that you purchase a Purple candle and carve your name through to the wick. Anoint the candle with Sage oil or Lavender oil and chant Psalm 08. You may also choose to re-count a mantra every morning for 6 months. The gifts of prayers and mantras are remedial approaches through honest prayers. These prayers must be focused on your essentials: i.e. food, peace, etc. instead of your yearnings for a person or material things. When looking for peace in your relationships, it is important to begin with a pure understanding of what your aim should be. The mantras can be hard to pronounce for many but are a powerful source of energy. The purpose of this mantra is to call upon the God of shelter and harmony to give you internal and external peace without reservations. This Siddha mantra uses the universal origins that rule each charka: Earth, Water, Fire, and Air. This is also a time of Mahashivratri for most Hindus and thus an auspicious time for regeneration and reawakening for many. When dealing with distressing situations it is my recommendation that before you have a reading done you must clear doubt and apprehension from your emotions so a reader can give you the richest reading possible. I will be offering 6 month personal in-depth readings starting on March 09, 2016. Appointments will be accepted as early as the 3rd of March and my schedule will also go out on the same day. The appointments are on a first-come, first-served basis regardless of how late or early you have booked your appointment. I hope that this solar eclipse, super moon, and new moon in Pisces convey to you and yours a serene, affectionate, and sweet 6 months. Remember that eclipse readings come in pairs. As most clients are aware, equate and dissimilarity is essential to get the most vibrant and correct reading. If you are not able to complete your reading or not going to be at a silent or quite place where you can take notes it is best to wait. For my regular clients, there is a new spiritual cleansing recipe to prepare and be grounded work for your reading. The cleansing offers wholesome restorative, vision and serenity. When I began to write this blog, so many things went through my mind. I was unsure how to begin and what I should really emphasize. This will be one of the most important new moons and eclipses of our lifetime. It is not often that an eclipse affects all mankind. Additionally, it is not often that there are so many aspects of an eclipse besides just a new moon. Depending upon the orb, on March 20, 2015, the new moon will enter our solar system at 29 degrees in Pisces. This new moon will begin to go void at approximately, 04:46 EST. The new moon is affecting people at later degrees in Pisces. But the most fascinating part of this new moon is that it barely leaves Pisces and it barely enters Aries while it is transitioning to a new moon within 10 minutes of the Total Solar Eclipse. It is not enough for the universe just to give us a Total Solar Eclipse, but this phenomenon is much more grandiose. This is also the last super new moon of 2015. As you may recall in my previous article, in 2015 we will have 6 super moons. Three of them will be new moons, which we recently passed, and this being the last one. The other three will be called super full moons which will be here in the summer/fall of this year. Read more about this transit (Farewell 2014 here). Super moon is defined through a two-prong theory. The first super moon, whether a new or full moon, is based upon the theory that when two new moons or two full moons arrive within 30 calendar days, the most recent moon will be considered a super moon. Second, a super moon is identified as the moon that is the closest to earth’s orbit. But the universe will not stop there. The change of seasons will also be ignited by this new moon. Every year there are two equinoxes (equal night) and one solstice. The two equinoxes are represented as spring and fall. The equinox theory dates back to the ancient Egyptian and Mayan calendars of time. On a scientific level, the equinox always occurs when the Earth’s axis stays perpendicular to sun’s rays whereas normally Earth’s Axis either tilts away or towards the sun. During the spring equinox and fall equinox it stays perpendicular. This often represents spring season change. Every year the spring equinox falls during the 19th through the 21st of March. My perception of March 20, 2015 is three letters: “WOW”. In my lifetime I have not seen as many wonderful transits during an eclipse as the one on March 20, 2015. However, a similar eclipse may have occurred in 1988 and I was way too young to even notice it yet I have felt the energy that this moon is going to give. The last time the new moon was closest to the degree of the orb in Pisces was March 2007. This was not too long ago and I believe all my readers can relate to that energy. Along with all the wonders of this moon, eclipse, and season, people will be less aggravated by having to accept something that was hidden for so long and revolting against it. The Uranus-Pluto eras are too deeply incorporated in western astrology and it has transformed the world as we have seen it. This difficult aspect began in the summer of 2012. However, the ideology and learning’s of my philosophies are based on Vedic Astrology with a western touch. And according to Vedic astrology, the outer planets such as Uranus, Neptune and Pluto are replaced with other shadow planets such as Rahu (north node) and Ketu (south node). Rahu acts similarly to Uranus energy and Ketu is similar to Neptune while Pluto takes on characteristics of both (death and rebirth). Had I not understood and studied these aspects for so many years, I would find the two types of astrology very confusing. But one thing I do know is that we are done with some of the strongest aspects of this uncomfortable transit and we can breathe a little better for now. 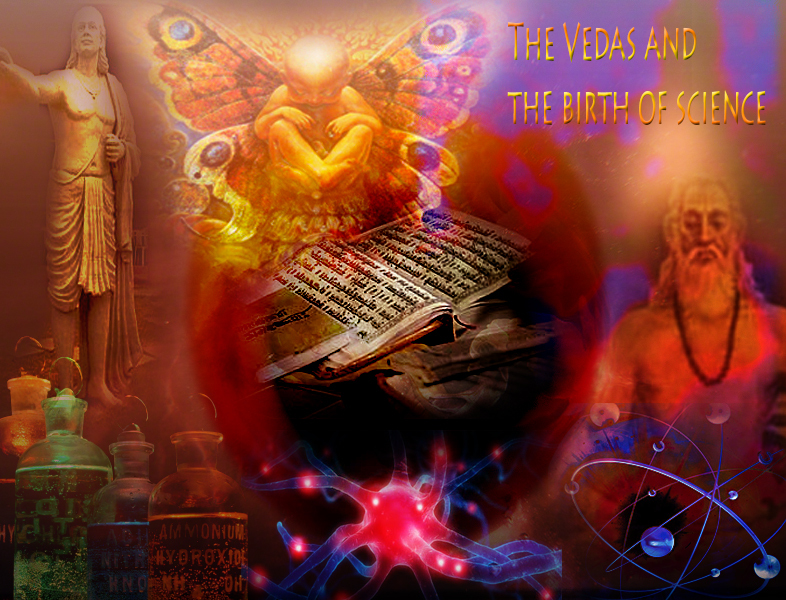 Often, I have been asked why Vedic readings incorporate astrology. Rahu & Ketu is our ego and our reaction to it. Not only do environmental issues affect human behavior, but also planetary and environmental changes as well. Therefore, bringing this aspect into Vedic readings is an added bonus to make sure the readings are solid and concrete without mistakes. Vedic readings incorporate numerology, astrology, cognitive, intuitive, and behavioral psychic abilities which give Vedic readings a very unique prospective. Now that I have given you lessons 101 in Vedic readings, equinox, and super moon, it is time to come back to the topic of eclipses. 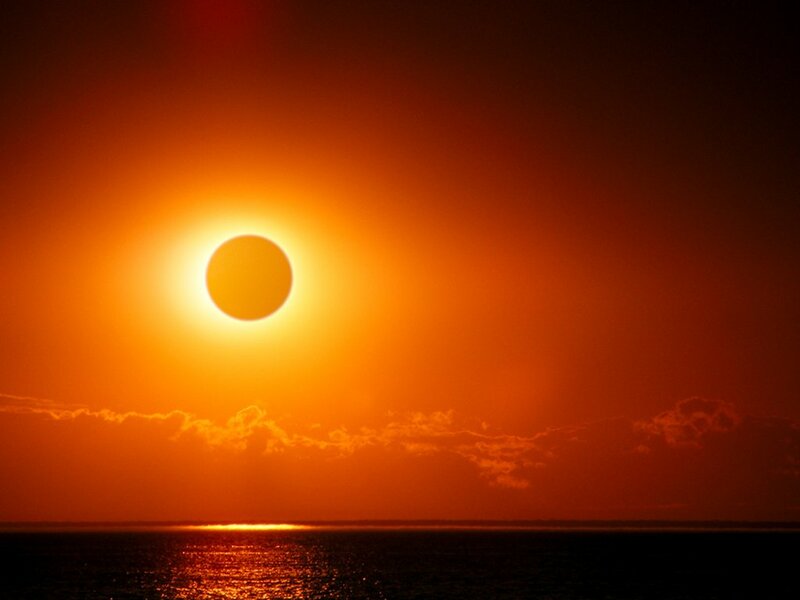 Some will say that eclipses happen because humans needs to change, others say that eclipses are an end of one era to begin another, and scientists state the eclipses are natural to our environment. But which is it? Though there is no scientific concrete theory as to how often eclipses occur, one thing is certain; solar and lunar eclipses come in pairs. Therefore, the lunar eclipse will be next month. Some scientists also call the total solar eclipse a ring of fire. This is because the moon completely covers the sun but because the sun is much larger than the moon, it casts ring of fire. There is also a scientific study which states that temperatures in our atmosphere can come down approximately 15 degrees during this time. This will be one of those rare eclipses where it will not be visible to the Northern Americas. Hence, Europe will never have an eclipse such as this in magnitude until 2026. Additionally, scientists claim that we will not have a solar eclipse of this magnitude until 2017. This eclipse is a European eclipse the totality of which is estimated to be viewed by Norway and Faroe Island while a Partial eclipse will be seen Northern Europe and Northern Asia. The first point of the eclipse begins on March 20 at 3:41am EST, begins its motion, and will be able to be visible by Europeans at 5:09 am EST. The eclipse will not maximize to its totality until 5:45am. As the sun and moon separate at 6:22am EST the ring of fire begins to disappear, thus reverting back to partial and completeness at 7:50am EST. The most fascinating part of this eclipse is what happens in the background. As the eclipse begins to maximize, the new moon begins to form at approximately, 5:37am EST transiting into Pisces. Then as the sun and moon begin to separate through the eclipse the super moon is formed at 6:36am EST. Exactly 12 hours later spring equinox occurs at 6:45pm EST which means the sun has crossed our equator and spring is officially here. (The timings which I have given could give or take a few minutes and can change depending upon the time zone.) Never in my lifetime will I see, have researched, and feel all three phenomena as the one on March 20, 2015. I had stated earlier in this blog that this was the final super new moon of 2015. So what is so special about this moon? One aspect is that New moon often represents the beginning of something and full moon is a closure or forced closure. 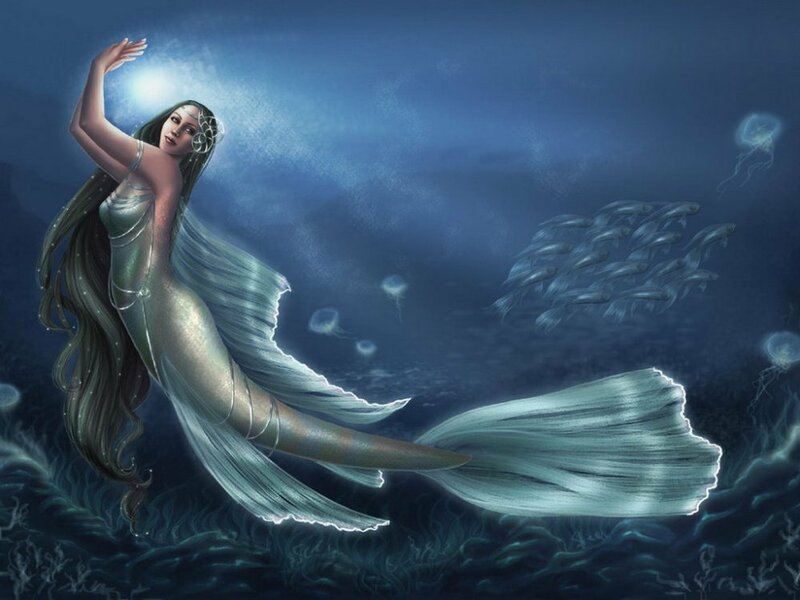 This beautiful moon in Pisces has remarkable healing properties; however, as a water sign, Pisces natural tendency is to bring wild wind and water. We have a new moon in Pisces every year and during those times we have always had water disasters. The most noticeable was the tsunami that hit japan during the new moon in Pisces in 2011. This was a trigger to bring people together and take a humanitarian prospective and faith in the universal energies. Though it could have been done differently, it may have been that the wrath of Neptune just could not resist. Solar Eclipse energy is peripheral, caring, shielding, and dynamic – echoed and conveyed from within our life power. This eclipse is particularly objective and determination oriented and our principles and tenacity can be boosted and strengthened. We initiate to profoundly reflect our influences in the world, and the complete manifestation of our mortality. This 6-month period can seem very unstable as the fire of Aries and coolness of Pisces create steam. We are coming into a very unusual time where this is the first eclipse of Virgo/Pisces elements and axis. Whenever the eclipse is in the last degrees of a specific astrological sign it has been know that it is endings of some sort then there will be a holding period and by the end of the month those that have any planets in Pisces start over. Since Pisces often affects our psyche and emotional nature this can be quite upsetting. If you want to really understand and compare the energy of Virgo/Pisces eclipse energy think back to 1995-1998. What were you doing 18 to 19 years ago and since you have already matured after all this time did you get your needs fulfilled, are you at a better place? Now we are called into question; our emotions, spirituality and truth. It is now time to remove all stagnation’s or decisions that you may have put off and time to act and change your life. Without changes in the sectors of stagnation and procrastination, there will be karmic lessons to pay after 6 months. The information that will be received from the cosmos and our own psyche will definitely change what you thought something or someone was. Actions are based upon the revelations that are discovered within a few weeks after the eclipse and transiting for 6 months. Therefore, the moon in Pisces plays a significant role. 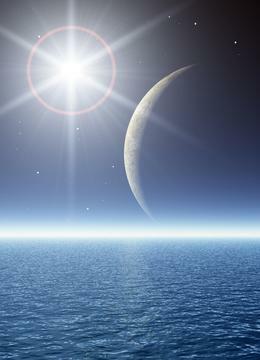 The new moon sets the stage to a new spiritual awakening when it enters Pisces at 28-29 degrees depending upon the orb. Whenever there are moon changes between the new moon and full moon we are called to question how our actions are reflected to cause conflict; and how our reactions bring a sword between spirituality and love. This eclipse is so powerful that it is advisable to treat it as if it was a total full moon. Therefore, do not make any decisions regarding relationships, careers, legal issues, or moving. Any decisions that are made 7 days before and 7 days after the eclipse may either not turn out in your favor or that what you saw and you think you need to see will be two totally different things. Neptune (Pisces) will cause confusion. There has been a lot of research about Pisces and how it relates to humanity. Some scientists say that because we are 90% water that Neptune (Pisces) equals Water and there must be someone in our chart to justify our place on earth. Spiritual leaders say that God is a Pisces and since we are children of God, his characteristics of Pisces will be in everyone’s chart somewhere. It does not matter what study you prefer to accept, the conclusion is that every human on this earth has Pisces somewhere in their chart. Therefore this eclipse, especially the Pisces moon, will initiate incredible transformations for many. This new moon will provide sufficient energy to correct self-destructive thinking and actions. The moons dynamism will permit the consciousness to use our personal power to join to our main psyche (God) to help us to manifest our visions. However, Saturn (planet of lessons and Karma) entered Sagittarius on December 23, 2014 and has continued its journey transforming Sagittarius, people with Sagittarius in their chart, as well as mutable signs (Read about it here). As of March 12, 2015 Saturn is retrograding in Sagittarius. Retrogrades are often represented through assessing things from the past, how they were handled, and what could have been done to for a better outcome. While Saturn retrogrades communication, ego centrism, as well as conflicts, can occur if patience is not practiced. While in direct motion (read about it here) it restructures, creates, rewards for hard work, and brings lessons and challenges. When retrograding it will slow down our life, Saturn is on a coffee break, and takes advantage of planning, organizing, and creating goals to plant seeds in autumn of 2015. Virtually every person will be affected by this new moon in one way or the other. Whether this is through Uranus, Pluto, Jupiter, Saturn, or this moon, conditions and world views will definitely be a facilitator of revolution, either physically or psychologically. The change will open many doors to medicine and spirituality. The greater importance will be where Pisces is noticeable in one’s chart. It is vitally important to understand the Pisces emotional impact and how in-tuned we are to be psychic sponges. understandings, so if a promise of any kind is made, make sure you have a clear understanding and leave no stone unturned. Mercury conjuncts Neptune a few days before the eclipse, creating further confusion. The spiritual moon will give the control while compelling us to act and appreciate humanity and its nature to mysteries and resurgence. This moon will boost dreams and surprise the mind to a new course in life. The past and present of life must die. Discerning patterns must also be resolved. Remember, this is the quiet before the dawn. The theme will be to symbolize life as if it can really be affected through manifestation and imagination. The New moon will signal a time to clear things with thoughtfulness and unconditional love. To be able to distinguish that people are doing what they can with what they have. It’s a good time to forgive individuals who have offended you. It is time to let go of beliefs even if it means you have to cry and let it all go so that you can activate a soothing process. It’s a time for destiny, the eye of eternity. Clasp the love you have for someone and be the psychic sponge for those that merit healing energies. Give yourself the understanding of new beginnings. Pisces moon emphasizes a time of stillness, prayers, and the planting the seeds for spring. It is a time of earth renewal when the first scents of spring are so defiantly close. It’s also a moon of Shiva who eliminates our inadequacies in order to bring spiritual progress and improvement. Shiva is the light that carries us to a higher plane in our lives; to give us pathway to hold our life with humility and compassion so that we walk in his light. Please note again, I am NOT an astrologer and will never claim to be. The general tendencies are based upon Vedic analysis and transitions. It is NOT Western Astrology, nor is it Vedic or Progress Astrology. Rather, it is determination of the conflicts that can be avoided by each individual. Remember that the tendency is currently based only on the Solar eclipse, when combined with the lunar eclipse general tendencies (will be posted at the end of March) one will be able analyze the situation as a whole for a full six month prediction. I will begin with the astrological signs that will experience a greater impact prior to others. These people could represent behaviors that are similar to “Intermittent explosive disorder” and the rage could affect everyone around them. 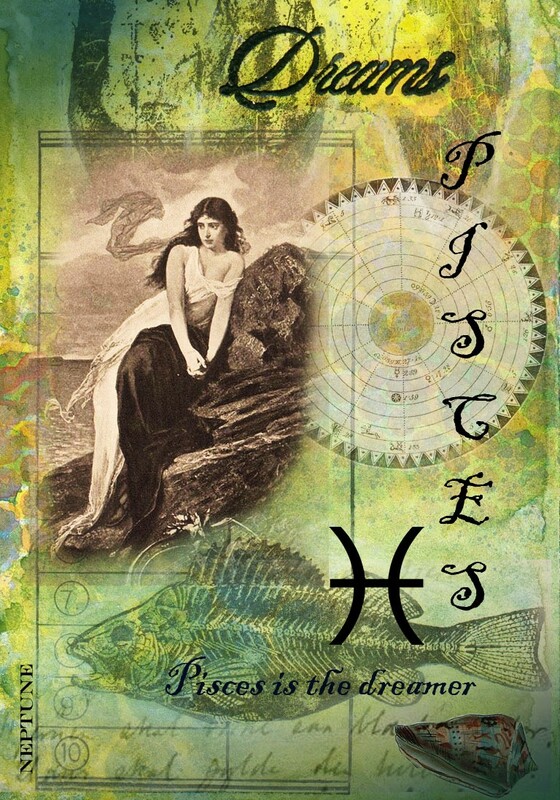 Pisces (Meena): Your eclipse season is just now beginning. Before you know it, at the end of the tunnel, Pisces people will definitely go through a transformation. 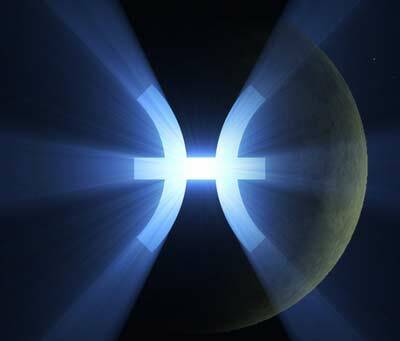 Even though the eclipse falls in later degrees the significant tendencies will remain through the structure of Pisces. However, it will be much more intense for people born on March 15-20. This eclipse is triggering your self-image and the way you are interacting, attracting, and communicating with the world around you. This uniqueness brings forth the reflections of those whom you befriend. Also known as Lagna, it is the most important role in your life. The key points are honor, dignity, life, and how you made it your life. Anything that does not fit it must go away under every circumstance. The problem is that Pisces cannot just let go. Toxic things in their lives cause them to become very disturbed and often become very defensive or, as I stated, have a slight chance of intermittent explosive disorder, especially the native who is born on or near the new moon. Gemini (Mithuna): In one hand, there will be a great deal of introspection in the areas of work, success, promotions, honor, and recognition. And on the other hand, it is about your own reputation and how clearly we can talk and articulate who we are through our dreams and trying to reach them. For the next 6 months moments bring clarity and you will be no longer looking through rosy glasses. Virgo (Kanya): This may be one of the more positive shifts in the solar eclipse my dear Virgo. This eclipse is about spiritual awakenings, social life, partnership, and relationships of all kinds. You are now ready to look at other people’s needs as well as your own. Partnership, success, legal issues, and reputations will pave a way to your own dispositions. Sagittarius (Dhanu): This is the opposite of your sign and as you know, mixing fire and water makes steam. Not only is Saturn in your sign embracing you for a transformation, but the eclipse will also be an added bonus to make sure it takes place. You are now examining where you want to set down your roots. Perhaps you just went through a relationship change and you are ready to work and experience what is real. The key point to this eclipse for you is a possible change of residence, domestic life, secret love affairs, and perhaps you might even consider going to school or learning a trade. The next eclipse will be a lunar eclipse in Libra; therefore transformation for Cardinal Signs (Cancer, Libra, Aires and Capricorn) is equally important. Libra (Tula): The eclipse last year was incredible and may have caused many Liberians to decide who they want in their life. The eclipse forced those with birthdays in the middle of the Libra cycle – and this eclipse is similar. During this eclipse you will be focusing a lot on your work, health, nutrition, and looking at your entire life with clarity and dignity. The key aspects of this eclipse for Libras will be debts, work, service, health, jealousy, and hidden enemies. Capricorn (Makra): This eclipse blesses all research work and perhaps exploring communication lines, including how we communicate through our voice and our writing. Capricorns will be looking at life and its restraints, being able to work with what we have, and being very realistic. It’s time to investigate, take trips and embrace your brothers and sisters. The key to this eclipse for Capricorn is courage, sibling relationships, writing, moving, contracts, communication, and traveling. Aries (Mesha): Oh my, oh my, Aries’ have been pounded and transformed. This eclipse is very spiritual indeed. It is all about looking at how your dreams can manifest into reality and how they fit into our lives. It also includes the sacrifices we are going to have to make to make it happen. You might find that people are not respecting you like you need to be respected and the universe is looking at your reaction to see if that transformation is spiritual. The key elements for this eclipse are restriction, deception, misery, misfortune, sorrows, and limitations. Look especially at spiritual inclination as the pathway to peace. Cancer (Karka): This is a very religious eclipse for you dear cancer. Now you will be looking at what you need to do to purify yourself, plant the seeds to seek the thought. You will now discover that certain philosophies knock at your heart and you will place all those things that are dear to you here. Key elements for this eclipse for you dear Cancer: faith, religious disposition, meditation, sacrifices, legal issues, learning, teaching, travel, and academic advancements. Fixed signs (Aquarius, Taurus, Leo & Scorpio) Some of you are going through a transformation still and be aware that Saturn will be coming back into Scorpio for its last round this summer (read about it here); most if not all fixed signs will be affected by this transit. Nevertheless, the energy of the eclipse may be a Godsend. 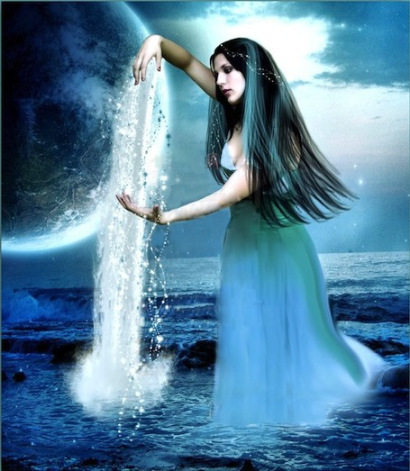 Aquarius (Kumbha): Many Aquarius people got shaken up, slowed down and got confused this year with the two new moons in Aquarius, Mercury in Aquarius and the black moon. The focus of this eclipse is revolving around what needs to be done to secure (resources, security, and properties) yourself and to live the kind of life that is glorified with success. Money, work, and career are all those resources that will give you the push you want. Perhaps you will get a new job or your business will do well, whatever it is that makes you feel successful. The key elements for this eclipse dear Aquarius is: profits, gains, power, material success, stock, and bonds. 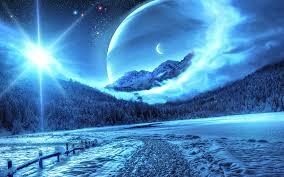 Taurus (Vrishabha): This eclipse for you, dear Taurus, is fun and interesting. During this eclipse you will see that that your hard work in the next 6 months will be very fruitful, and humanitarian work and goals will be well worth it. Meeting and finding new friends, along with shared communities will be the key to understanding through conversation and shared visions. The key elements for this eclipse for you dear Taurus is: community wishes coming true, success, siblings, and most of all, friends. Leo (Simha): You have been on the road to success since last year and all of a sudden you might discover things to be a little tight in area of finances and luck. This is only because Jupiter has been retrograding; making every move like molasses and it will be all better by April, so just hang on. This eclipse will be triggering your own transformation through cleaning house whereas; people and things that take up space will be eliminated. You focus will be primarily on business ventures and finding out how other people’s money affects you. The key elements for this eclipse dear Leo are: growing up, insurance, accidents, misery, misfortune, worries, delays, disappointments, obstruction, and theft. Scorpio (Vrischka): I wish I could take you and tuck you away somewhere. Between Saturn in Scorpio for the last two years, perhaps you felt a little relief. But the eclipse transformed you once again. Unfortunately, Saturn will be back this summer for one last round but I don’t think it will be as painful. Think of it like coming home from the hospital and now it’s time to heal at home. It does not mean however, that things won’t be difficult; it will be just a little different. The pleasure of this eclipse is well worth the pain this summer. This eclipse will bring awareness of your emotions and finding an outlet, regaining self-confidence and ownership of everything you do is the first step recognizing that we are not perfect. Every experience will hit home to bring a path of reality in knowing why we feel what we do. This eclipse, my dear Scorpio, is beautiful indeed and the key elements will bring a wave of healing. Focusing more on children, pleasure trips, entertainment, being competitive (in a fun way), love affairs, going back to school, and most of all, spirituality at its best. Keep in mind that the information which I have given to you is general tendency not to be a replacement of an individual astrological chart and inclination. If you are looking for more focused information on how this eclipse will affect you, I suggest that you contact my recommended astrologers Leslie Hale or XtrologyofHollywood for an individual astrological reading. They will inform you of the trends and my gift will provide you the possibilities. Please keep in mind that I am not an astrologer, rather, I am a Vedic reader, and there is a vast dissimilarity. Astrology opens the door into the mysterious future which allows me to show you the forks ahead and how best to recognize the energy forces through Vedic Readings. The Pisces new moon signifies a time of gargantuan outlook and answers. Self-destructive urges can rise for those who hold sarcasm. For many, it comes to be more problematic to grow and question value and the quality of life. The influence of sensitive energy can be accommodating if directed into innovative accomplishments and self-healing. However, there is a robust craving to simply slip into snooping. It is better to indulge in productive pursuits rather than creating more spiteful, disrupting activities. Low-spirited propensities can easily govern under this New Moon. The stimulus of this New Moon can be particularly hard or challenging for those who were born under a New Moon phase, as well as for those of the mutable Sun Signs Virgo, Gemini & Sagittarius. This also holds true for those that have any planets in Pisces (in this case everyone) including whose birth Moon is in Pisces. The New Moon can signify a serious time for possible mishaps, injuries, carelessness, and the responsibility of hasty choices or decisions. The Watery Pisces Moon feels everyone’s despair with a compassionate and perceptive heart. Contribute to others, share your visions, and make from your deep feelings. Don’t let your drifting heart get lost! The Moon in Pisces marks a time of exciting kindness, downhearted, and spirituality. People may become more perceptive, sympathetic, and imaginative. As originality will be heightened, this is a good time to discover musical abilities and other artistic accomplishments. Represented by a pair of fish, Pisceans are selfless and blessed, often powerfully aware, and they are open to the cooperative awakening. As the Moon moves through Pisces, people may feel enthusiastic and kind but also subtle, defensive, and abysmal. Visions and recollections may stir during this influence. Neptune carries a pumped energy psychic antenna which rules Pisces. Opinions are resilient when the moon is in Pisces. There is severe warmth to music. Tendencies are to be exposed, spiritual, and altruistic. The moon in Pisces adds an emerging inflexibility that can create feelings of helplessness, wandering into withdrawal as an emotional shield. People may feel obedient, sensitive, warm, thoughtful, and happy but too easily discouraged. Some might experience mixtures of unclear memories (often identified as past lives) or perceptions into spiritual senses and how they relate to current situations. The moon in Pisces questions: how spiritual is life’s passage? It’s about bringing us closer rather than letting go. The moon is assisting us to shape our lives for the following year. The energy of Pisces intensifies and begins to change March 15 and this energy may continue to remain complex for another 6 months. It’s time to love those who love you, let go of the injuries and pain of others, and motivate yourself. Visualize for a moment that you are walking on the beach, as you walk you leave footprints and the waters waves wash them away just like this moon does. Leave the past behind. Be the adjustment and move toward your destiny. Meditate more. Connect up with people who are around you. Focus on things that have created trials and misfortune in your life and find the spirituality in the lessons being learned. The moon in Pisces is Elusive, Imaginative, Psychic, Removed, and Artistic. We must remain attentive and use our psychic gifts to move in the direction of decision-making. It is my suggestion that you purchase a Purple candle and sculpt your name through to the wick. Anoint the candle with Sage oil or Lavender oil and chant Psalm 08. This Siddha mantra uses the universal origins that rule each charka: Earth, Water, Fire and Air. This is also a time of Mahashivratri for most Hindus and thus a propitious time for renewal and rebirth for many. Many people have asked the question how often they should have a reading done by a psychic or a tarot reader. In my opinion, an in depth reading should be done every 40 to 50 days, nothing sooner. It is claimed that God’s energy comes in intervals within the 40 to 50 day cycle and co-dependency and fear does not bring healing and faith. When dealing with heartbreaking circumstances it is my suggestion that before you have a reading done you must clear away pessimism and anxiety from your emotions so that a reader can give you the richest reading possible. Please note that these are broad dispositions, and I highly recommend that you make an appointment with Leslie Hale to find out how this eclipse will move you. Often, Astrology could be guide to what is forthcoming and Astrologers are able to give you a pointer of what you can expect. At the same time, Vedic readings are also relatively significant since aspects of the sun, moon, karma, dharma, destiny and spiritual predispositions translate what is about to come so that you can adjust so you get the most benefit from the eclipse. I will be offering 6 month personal in-depth readings starting the 20th of March. And appointments will accept as early as the 15th of March and my schedule will go out also on the same day. The appointments are on a first come first serve basis regardless of how late or early you have booked your appointment. These readings will be incorporating parts of life that may not able to be expanded on by an Astrologer. Incorporating both readings will give you complete clarity of what is to come, what can be done to prevent it, and what needs to be understood. Together, you can amplify the best of both worlds and create a destined path of your choice. Please remember that I am NOT an Astrologer nor do I privilege to be one, rather, I am a Vedic Sanskrit Reader who combines Astrology as a value and basis of the reading. This surrounds the splendid transformational destiny and Karmic reading as an inference to all readings. The interrelations between Astrology and Vedic readings could be seen as similar however, the information received by a Vedic reader can often be overwhelming, true, and substantial to progressive and peaceful future. I hope that this solar eclipse, super moon, and new moon in Pisces brings to you and yours a peaceful, loving, and harmonious 6 months. And remember that eclipse readings come in pairs. As most clients are aware, compare and contrast is necessary to get the most vibrant and accurate reading. If you are not able to finish your reading or not going to be at a silent or quite place where you can take notes it is best to wait. For my regular clients, there is a new spiritual cleansing recipe to prepare and be grounded for your reading. The cleansing provides pure healing, insight and calmness.